1. We have an insane amount of school pride—and our fair share of rivalry. 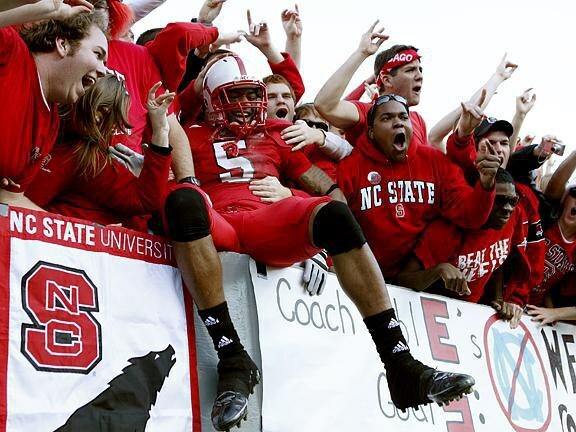 Like a lot of big, southern schools, NC State is filled to the brim with school pride. You can’t walk anywhere on campus without seeing students and alumni alike decked out in State gear. Red and white will take over your closet long before you take your first exam. It’ll become second nature to throw your wolf sign up in group pictures. Once you’re here, you’re part of the Pack—and that’s one of the coolest feelings I’ve ever had. 2. There’s always a party, game, or event going on. It’s pretty much impossible to be bored on State’s campus. With 34,000 undergrads, there’s always something to do. Every game day is a holiday. Tailgating starts before the sun comes up, parties can happen any day of the week and at any time of day (they’re called “darties” if they happen during the day, by the way), and between all the clubs and organizations on campus, everyone has a place they belong. Greek Life is a huge part of campus life, but don’t worry if you don’t want to be a frat bro or sorority girl; concerts, dances, shows, movies, and festivals are commonplace here at State. 3. But we take our work seriously. We sure know how to party, but that doesn’t mean we don’t get our work done, too. Our school motto is “Think and Do,” and that’s not just a catchy little phrase we like to toss around. NC State is internationally known for our STEM majors, business program, and design school. All of that success only comes through hard work and a lot of cooperation between our dedicated students and world-renowned faculty. I can’t say the classes are easy here, but let’s be real—if you wanted easy, you should have just gone to Chapel Hill. 4. We have some of the nicest, most modern facilities in the world. State is a land-grant university, but we’ve transcended our simple, humble beginnings. Our Centennial Campus takes State’s traditional and classic feel, and catapults it into the future. Our main library, the James B. 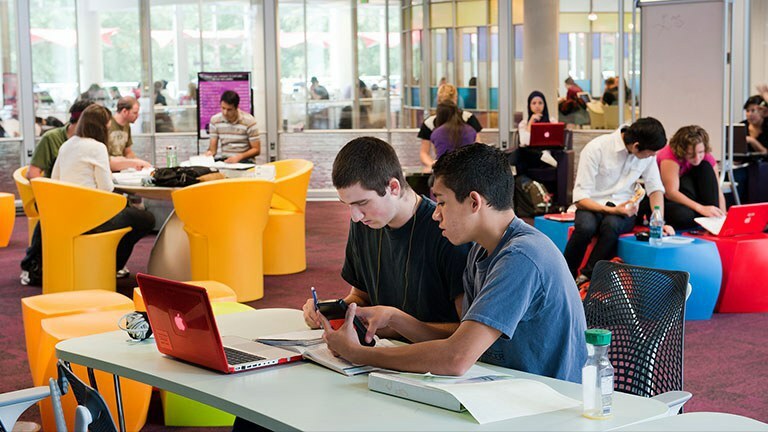 Hunt Library, has been recognized as one of the finest libraries among universities by Business Insider. Architects from all over come all the way to little ole’ Raleigh just to see State’s library; the students can hop on the Wolfline bus system and go there as often as they want. We can use the BookBot to look at over two million books and publications, spend time in any of the many designated studying areas, make something awesome in the Makerspace or production rooms, or just sit back in one of the hundreds of chairs and enjoy it all. 5. But we don’t forget about our roots, either. While we’re always looking forward and trying to better ourselves, we also keep our traditions and values in mind, even down to the way our campus looks. The vast majority of the University is constructed with red brick. Rumor has it that students steal a brick from campus before they graduate as a keepsake (but you didn’t hear that from me). We’re very proud of our history and traditions. When you get here, you’ll get a booklet, aptly named “The Brick,” that lists all of the traditions that happen here every year. If you complete 40 of those traditions, you receive a medal to wear at graduation for helping to keep the traditions alive. 6. The entire city is our campus. 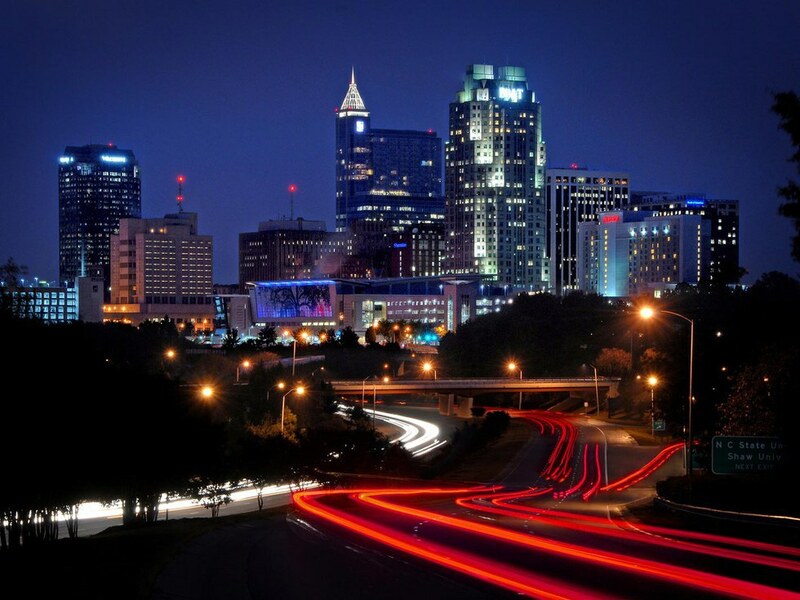 Another cool thing about State is that we’re located in Downtown Raleigh, North Carolina. If you’re looking to get off campus for a little bit, the city is a quick walk, Uber, or bus ride away. There are tons of restaurants, clubs, event spaces, concerts, and music. Being right in the city also comes in handy around graduation, because all of the Raleigh-based businesses are just a few blocks away, awaiting your application. 7. Be prepared to meet new people. With a school so big, you’re going to meet a ton of new people. We have a decent number of international and out of state students (like me). Plus, North Carolina is a big state, so even the in-staters meet people they wouldn’t otherwise get the opportunity to meet. All these people come with their own thoughts, customs, backgrounds, and stories. You’ll have a whole four years to hear those stories and get to know those people. 8. Be prepared to come to the best university in the world. So if you’re not excited at this point, now’s the time to start getting hype. 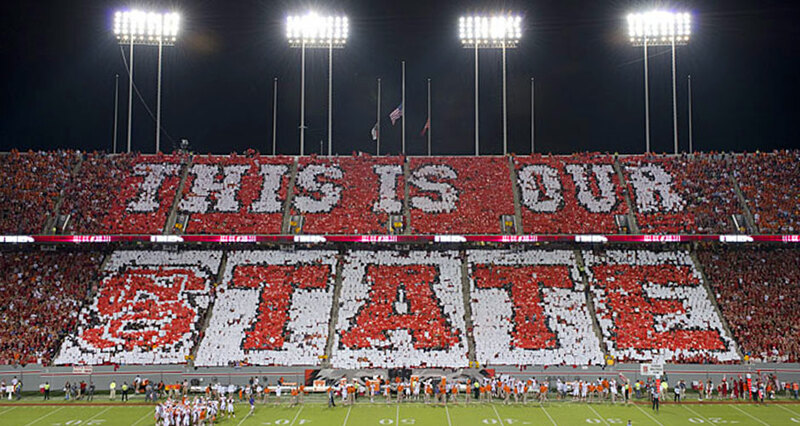 By picking NC State, you’ve picked to join the rest of the Pack at the best university there ever is. Sure, I’m a little biased, but how could you blame me when I get to go to school at a place this awesome?